We bought a 2013 Forest River Cherokee pull behind trailer and took one trip in it and when we were on our way back home we stopped and noticed our tires were twisting. 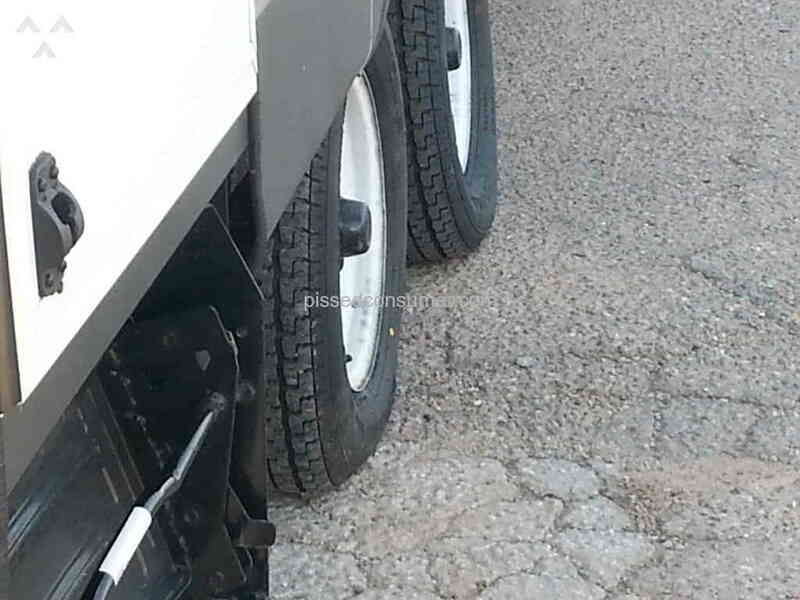 When we got to a near by gas station we saw that the tires were balding already and we had only traveled in it once. 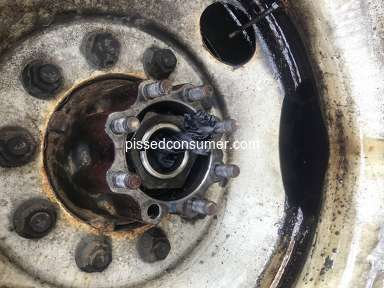 When we called the dealership they said it was caused by undersized axles. 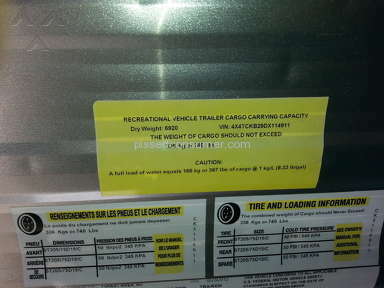 When we looked at the weight sticker on the trailer it said dry weight was 6,920lbs and we had two axles that each held 3500lbs. Which equals to 7,000lbs. We only had 80lbs till it was maxed and that is dry weight which means without the water full and luggage! The good thing was we called Forest River and the guy told us to buy new tires and they would compensate us for the tires so we didn't risk having a blow out. Which they did compensate us for the tires. But now they are refusing to fix the axles!? That's the whole issue! 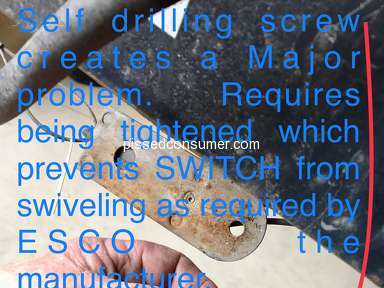 It's still under warranty and they refuse to fix something that is obviously their problem! We took the trailer in to 3 different Forest River mechanic shops and all 3 lead mechanics agreed that the axles are too small. When we had the tires replaced the owner of the tire shop even said that the wear on the tires was caused by the undersized axles flexing. If you are having problems like this please contact us. Review #483070 is a subjective opinion of Sgarza. Can we all get together for a class action suite? Like the idea of a class action suit how do we go about organizing that on here? We have an ArcticWolf 315BH with a dry weight of 9,614 with axles rated for a combined 10,160 pounds and tires rated for 10,000. In other words our bunkhouse designed for a family is maxed out with the water tank filled. We have a flat leaf spring, an s-shaped frame and a broken support membrane. Forest River is trying to have Limpert “repair” it and give it back. Looking for a more fair resolution. Not willing to put our family back in a rig that fishtails and nearly flips when we load our food and belongings into it. I think it's time for a class action lawsuit. Dry and Empty, our trailer weighs in at 7,800lbs. 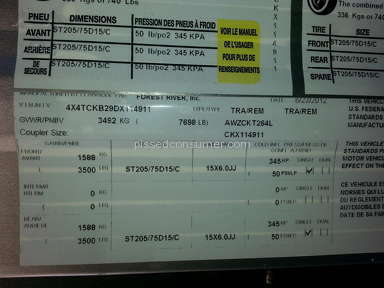 Each of the 2 axels are rated at 3,500lbs. Dry and Empty, we are overweight. We have bent axels, flat springs, and a cracked frame. We just received a quote to replace both axels, springs, and fix the cracks in the frame where the springs attach to the frame for $5,000. This also requires new wheels and tires. This is 100% a manufacturing issue and a sever lack of care by Forest River. I made contact with Forest River today. We'll see how they react. Since we are just past our warranty, I don't expect to get anywhere, but I will fight this. If they don't cover my repairs, I will be contacting my lawyer. This is so careless and everywhere I read online, people are having the exact same issue with several models of trailers at several different weights. It seems like this is a massive issue across the board. This undersized axle needs to be replaced the the Department of Transportation Safety Office. It might need to be a recall action. Looking at buying our first rv for retirement travel. Like the reputation Winnebago has but wonder why are there hundreds of intent and vista models for sale with less than 2,000 miles? 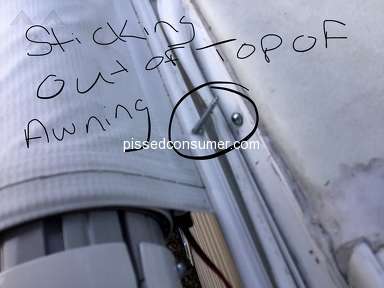 Had the exact same problem with a 2015 Shasta Flyte 26rls made by Forest River. Don't listen to your dealer go direct to Forest River and fight them. We got them to pay for 2 new axles courier to Canada and installation they also paid for the axles couriered back to Forest River. It's simple math and they do it on a lot of their trailers. I think they assume that the people buying these trailers are dry campers. I have a 2013 Forrest River Windjammer 3025 and am having to have the axles replaced as I kept blowing tires and having them fail and that is with 10ply tire!!! The wheel, axle and brake shop said the axles were undersized for the trailer. I'm working on a solution to get heavy duty axles but them may not fit in the wheel wells with the tires on! For a few bucks more they could make these trailers so much better especially when it comes to the axles and tires. We have a bent axel as well. Never haul water or waste. Said too many canned goods. Seriously!! 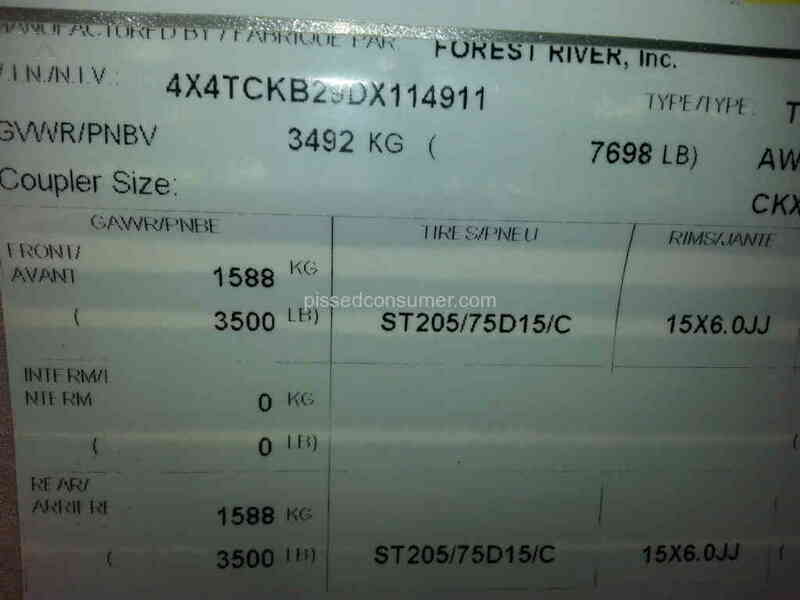 We have a 2016 Forest River 251rks Surveyor Couples Coach that we bought 2 months ago used. We took it for a short trip for a 2 night stay everything was good. We took it out 2 weeks ago (our 2nd trip) and when we were coming back home the tires and brakes started smoking we had to pull over several times finally made it home. We now have it in the shop and we were told its the Lippert axels, wheels were tweaked and more. He said that they are the worst axels out there and he has had to replace several others. So, we are having him put on better ones and the cost is over $4,100.00. No one is paying for it except us. Yes, we are very upset!!! We agree its Forest Rivers responsibility as they are the one who installed the Lippert product on their trailers. I have a 2013 Rockwood 32 foot 5th wheel. I am upgrading from 4400lb axles to 5200lb. 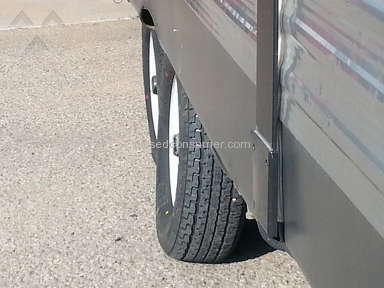 Most people here are not considering the hitch is carrying some of the weight. 5th wheel or bumper pull. 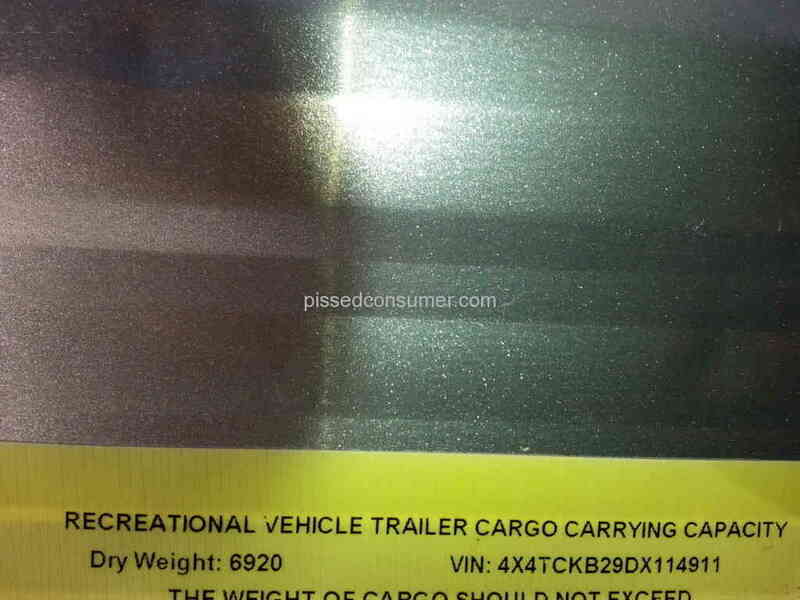 With that in mind I still have 7100lbs on my axles and they have a capacity of 8000lbs. 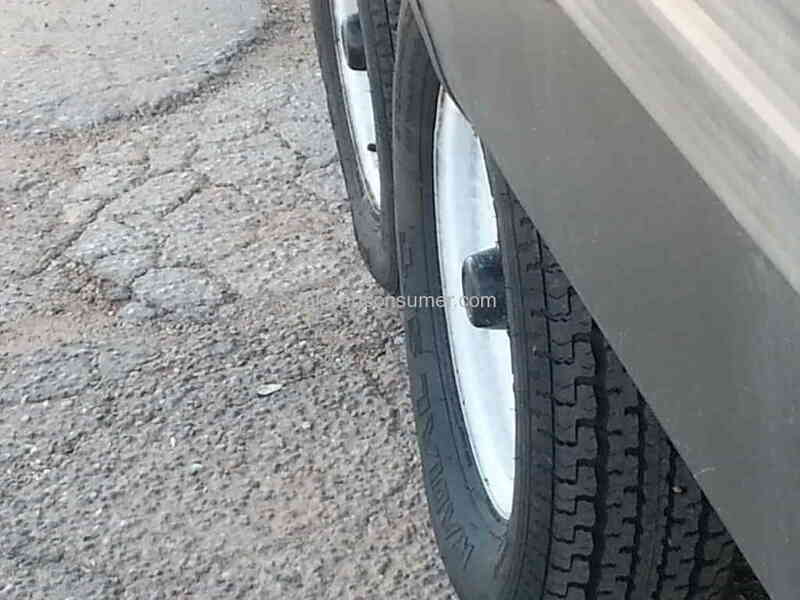 I have read the comments on tires and axles of customers of forest river. I have questioned dealer, dealer service department, and manufacturer. Too much time stressed trying get get answers. Just found your post. I plan to take this to the top. I have a very expensive travel trailer, but it is getting more expensive by the minute. I am interested in anything you can forward to me. I I just bought a wildwood forest river bids 32 2018 two weeks ago. And it already had two repairs before it left the dealer. And other problems I found out at delivery. The dealer is refusing to take it back. Seems tire manufacturer should file suit against them too. I am having the same problem and a tire manufacturer replaced my tires and paid for the damage to my trailer caused by tires blowing out. 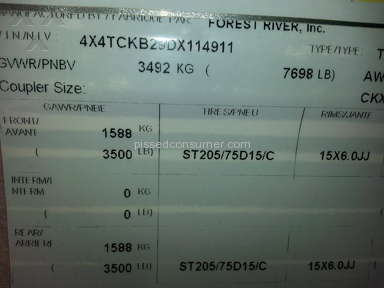 I have a 2006 Forest River Sierra Sport Toy Hauler and upon inspecting one of the rims it says 2,150 lb weight rating. My max is just under 12,000 lb which I never run at. 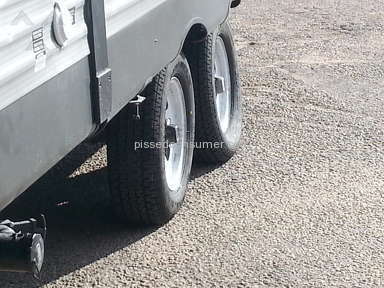 I am only now realizing that my axles may be under sized by researching switching to 16" wheels/tires to be on the high side of weight capacity and coming across these forums. so sorry about a horrendous problem! hubby bought me a forest river trailer for birthday, haven't used it yet and now 4 yrs old. fully loaded with all extras. I will check axels to have them fixed before any trips. 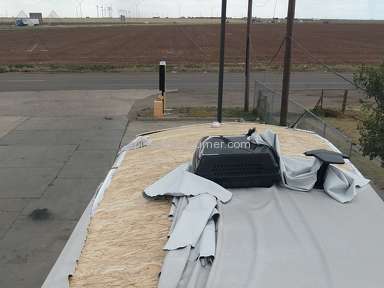 we had trailer made for us and shipped from ohio to us in New York, they gave us $9000 off cost plus delivered it using a trucking company so not to wear anything out or risk damage. they also paid for this, over $1000. 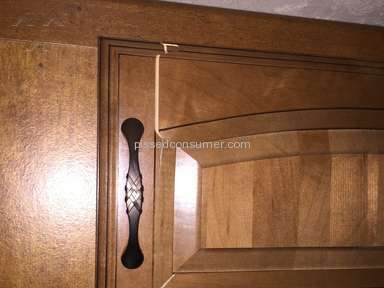 we are still nervous about so much to learn, like pulling down the murphy bed easier, etc. still under 1st year warranty, plus I bought a two year extended plan... If this they way Forrest River and their dealers roll, I will not be rolling with them next purchase. I have a axle problem with my 2013 Vengeance toy hauler with less than 3000 miles on it and never even put anything in the garage. Tires wearing on the inside of the rear axle. Rear axle tube is bent. Contacted Forest River and they politely told to go fly a kite. It was a Lippert axle problem. Lippert didn't install the axles, Forest River built the unit and installed the axles. Contacted Lippert and they said we don't install them we just sell them. Which i kinda figured that would be the answer. 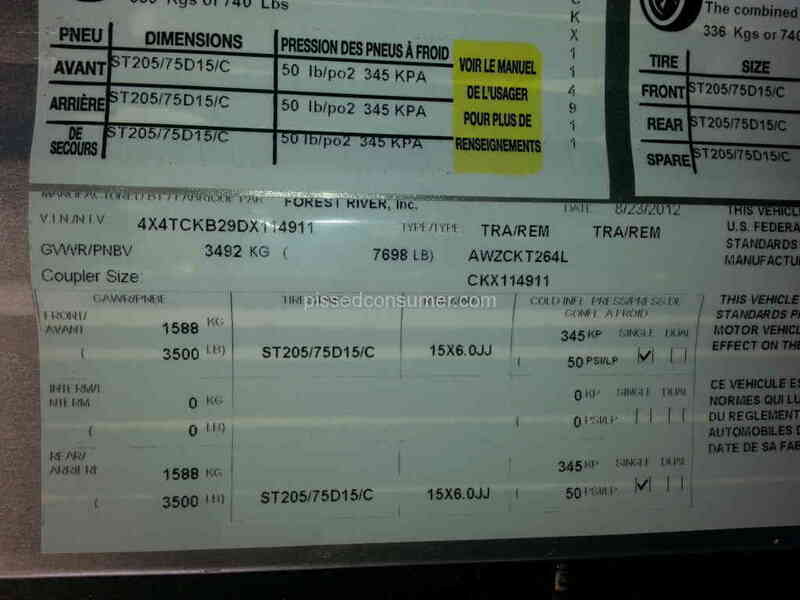 5200 lb axles and 11890 LB GVWR, i am no math wiz but that just doesn't compute. Never again will i even Think about another Forest River product. Going to get the repair done at the cost of $2500.00. If anybody ask's about Forest River i will tell them to find someone else.